Yes, we have in plans to switch to CentOS7. Regarding your questions. As far as I remember now websites should be inside /var/www/html/ as you’ve mentioned. For instance /var/www/html/example.com/htdocs. The paths should be switched for sure for /var/www/html as this is the root for all domains. But you can modify it inside vhosts like in our examples, just use different path. iptables still can be used on CentOS 7 instead of firewalld. It’s just a matter of disabling firewalld and installing iptables instead. But we will cover firewalld as well, no worries. Hello, can you make a tutorial about how to install php from source code, please? I followed your tutorial to install apache 2.4.23 and i installed php 7.0 from repository, but the problem was: the php didn’t work. I tested it by create php info page and it didn’t display the right way. I’m not sure what’s the reason behind it? However there shouldn’t be any problems with having Apache compiled from source and PHP from repository. Just make sure that you are using PHP in FPM mode. Please check if the ports in php-fpm is the same as in Apache Virtual Host. Thank you for your reply. Finally i sorted it out. I have one question: When compiling the apache, we have –enable-ssl. (is that similar to mod_ssl if i use yum command to install). I want to setup certificate but tutorials on the internet are all about using yum. Thanks 😀 Looking forward to it. Is there any way of getting the very latest up to date version of openssl on Centos including 1.1.0c? Thanks for the guide, just a little correction, “–witn-included-apr” should be “–with-included-apr” , once again thanks for the article! Thanks for the Article. 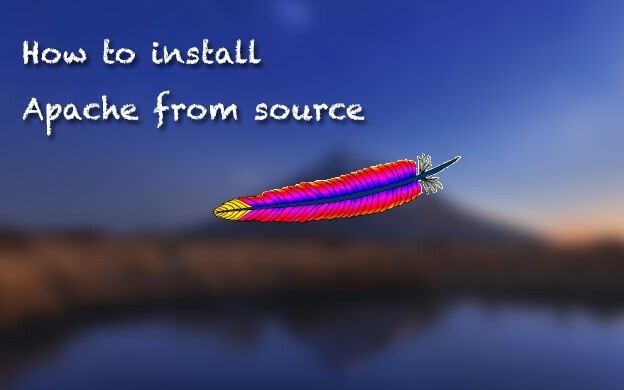 I had completed the full install from source on 6 without issue. On 7 my failing was with the startup script and yours worked. it appears my issue was with the PID. By moving the pid to the log directory it worked fine. Thanks for this incredible article, It helped me a lot! If anyone have a “make” command failed, would help you if you use “make distclean” before run “make” again to prevent this command to use broken configured files made by “./configure”. Very very helpful in installing Apache httpd on Centos 7. Thanks a lot. God bless you. Thank you very much for the article, very helpful indeed! I just have one question, how would I do the systemd entry if my OS uses service instead of systemctl? to install lynx library by “sudo yum install lynx -y” and then you can use commands like “sudo /usr/local/apache2/bin/apachectl status” etc. I could not find my old service script unfortunately as I did not use it for long time:/ This is just a bash script that has some logic in it and allows you to call commands like start|stop|restart|status etc. It is usually way more complicated than systemD entry. However apachectl should work just fine as a replacement. Thanks for this incredible article.